TABi finally launches – 25 years after it was invented. The founder of TABi, Jerry Horwood, a digital entrepreneur with several successes under his belt, first dreamed up the idea for TABi in 1991. He made a prototype, experimented with it, and then assumed the world would go fully digital, making paper notebooks redundant. Turned out he was wrong, at least for the time being. 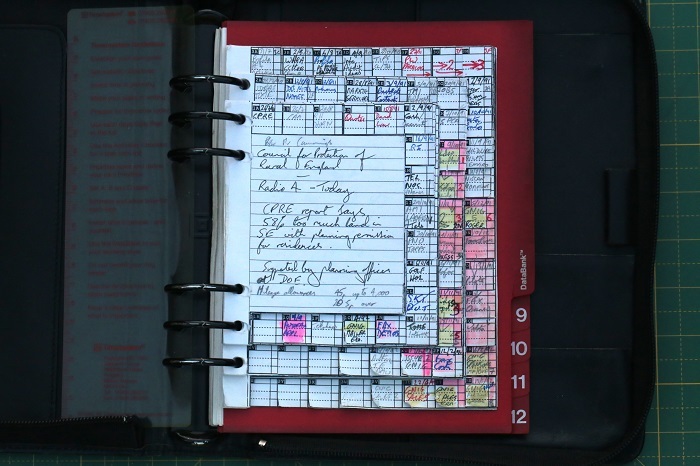 Many people still use paper notebooks today despite the proliferation of laptops and tablets. In January 2017 his invention will finally be unveiled to the world’s stationery and publishing industry in Frankfurt at Paperworld 2017 to find out what the industry thinks of it. One day the world will look back in amazement at how for thousands of years we used bits of trees to help us remember things. But until then, despite the attractions of digital storage and information retrieval technologies, we seem determined to persist in writing and losing handwritten notes. So if you’re in the office supplies or stationery business and you happen to be at Paperworld 2017 in Frankfurt between 28th and 31st of January 2017, do visit our tiny stand B22 in Hall 3.0. We’d be thrilled to meet you and to give you a sample TABi to try. We’re excited to find out if it was worth waiting 25 years.